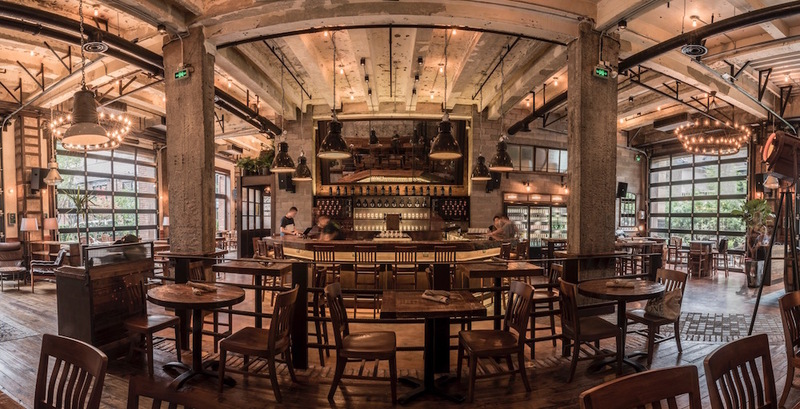 The California-based brand opened the first taproom from an independent American craft brewery in China. Since its founding back in 1996, Stone Brewing has long been a trailblazer in the American craft beer community, originally making a name for itself with its big West Coast-style brews and going on to become America’s 8th largest craft brewery with distribution in all 50 states. But recently, Stone has been leading the way on a different front: the global one. Today, the California-based brand opened the first taproom from an independent American craft brewery in China. 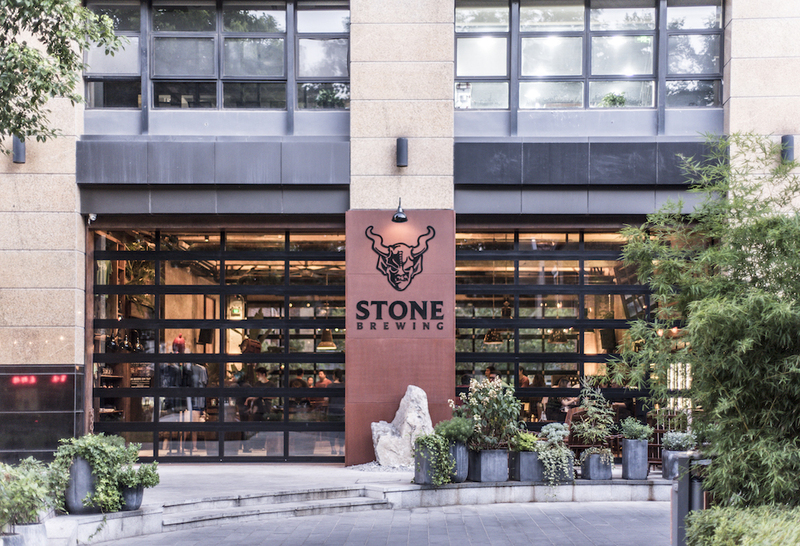 Stone Brewing Tap Room – Shanghai, as the new space is called, is a 3,200-square-foot bar and restaurant offering seating for 90 indoors with an additional 1,000-square-foot garden outside. Though the taproom also offers a full “Stone Brewing World Bistro & Gardens” dining experience, beer is clearly the star here, and the Shanghai space offers 30 brews on draft featuring a high-tech tap system that “allows for custom calibration of carbon dioxide and nitrogen mixes “ on every beer. This new expansion into China follows on the heels of the brewery’s major move into Europe over the past two years. In June of 2016, Stone opened a full production brewery in Berlin, Germany, an international play that allows the brand to deliver fresh beers throughout the region which is especially important as craft beer drinkers become increasingly aware of the importance of drinking hoppy beers fresh to unleash their full potential. Stone followed that expansion up with an additional taproom opening in the Prenzlauer Berg area of Berlin this past May. Meanwhile, Stone isn’t resting on its laurels back in the United States. The brewery opened a brand new Napa, California, location last month as well. That outpost even features a 10-barrel brewery that plans on specializing in beer-wine hybrids (as is fitting for the location). In total, Stone now boasts that it has 11 “unique venues” that also includes the brand’s Richmond, Virginia, brewery (which opened in 2016) alongside a bunch of other Southern California iterations. Interestingly enough, all this expansion is happening during what many consider to be a tumultuous time in the craft beer industry where many midsized breweries are struggling in an extremely competitive market that now includes well over 6,000 breweries nationwide. However, in announcing the new China location, Stone repeatedly reinforced how the company is expanding on its own terms without any investment from “Big Beer.” Clearly, Stone has an idea about where it wants to go – and this week, it includes the other side of the globe.